I have a little bit of catching up to do in terms of blogging, although there isn't really much that has been going on, I do have a few posts drafted though so hopefully they should be up soon. I've still been busy with my flower arranging. 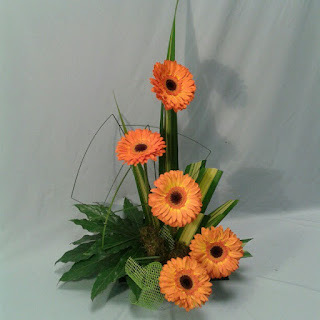 Week 5 was a limited flower arrangement. Not one of my favourites, in fact this is my least favourite one so far. 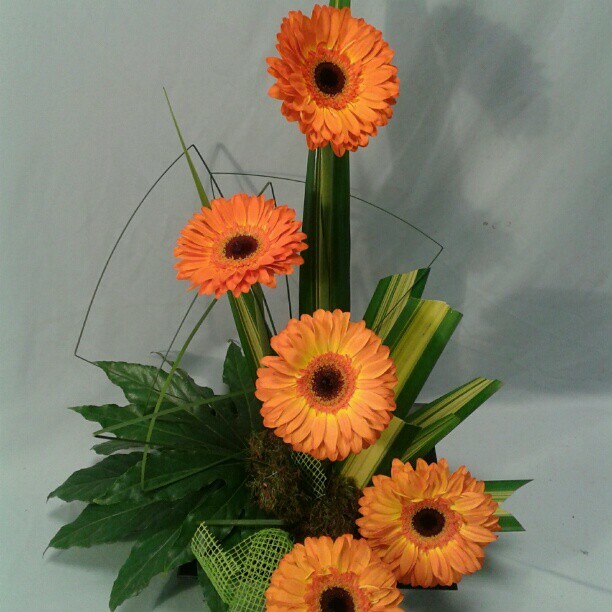 I much prefer a traditional arrangement. 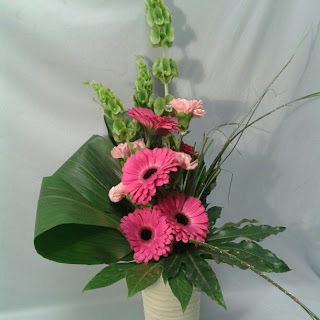 Week 6 was a limited hand tied, I preferred this one to the arrangement, plus it was an opportunity to practise the spiralled stems which I love. 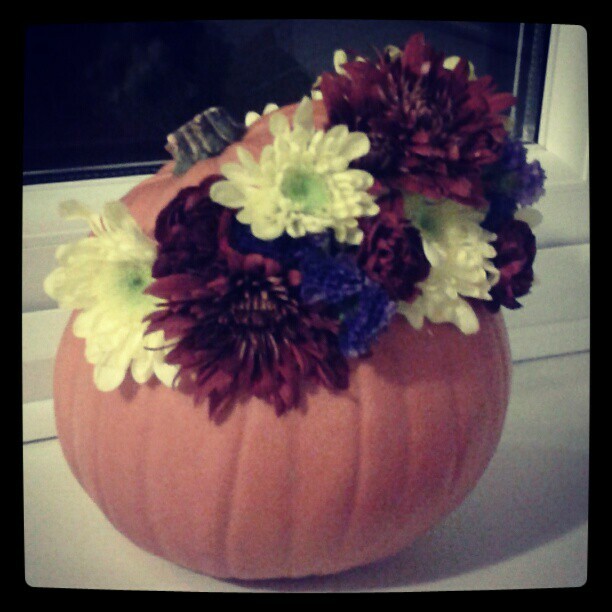 As well as the arrangements I have been putting together at college, I have had a little practise at home. I've seen similar things in Pinterest so thought I'd give it a go arranging some flowers inside a pumpkin. 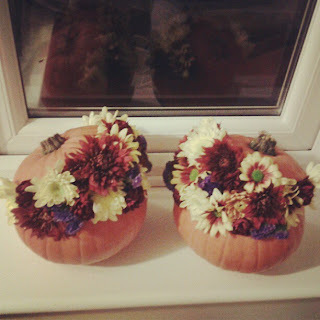 I was really chuffed with these and will definitely be making some more next year. That's all for my flower round up. I'll be back at college again on Thursday so there will be more to follow soon.